Posted on August 22, 2011 at 9:09 pm. Finn pulled this exquisite birthday theme out of his back pocket a few weeks ago. 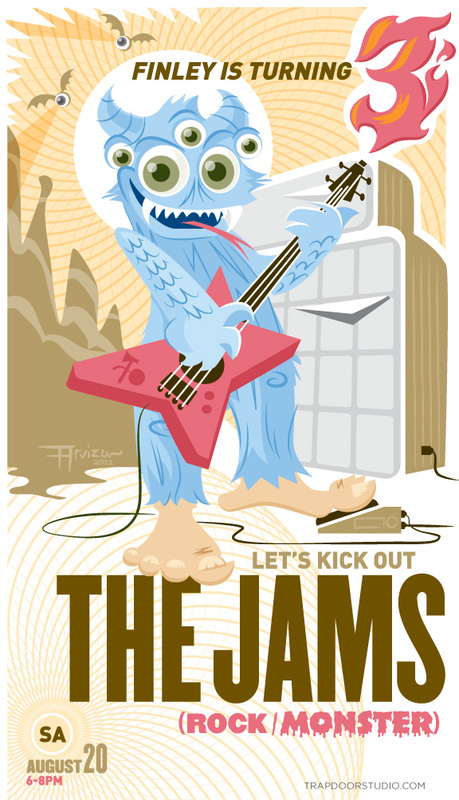 I had never actually heard of a combination Rock and Roll Halloween Monster party but when my (soon to be) 3-year old asked me to make a special “in-VEE-tation” for his birthday, i assured him i would make it sing. pun intended. Our monster’s forked tongue would make Gene Simmons jealous. I had a blast spinning out eyeball bats and mysterious psychedelic cave backgrounds. 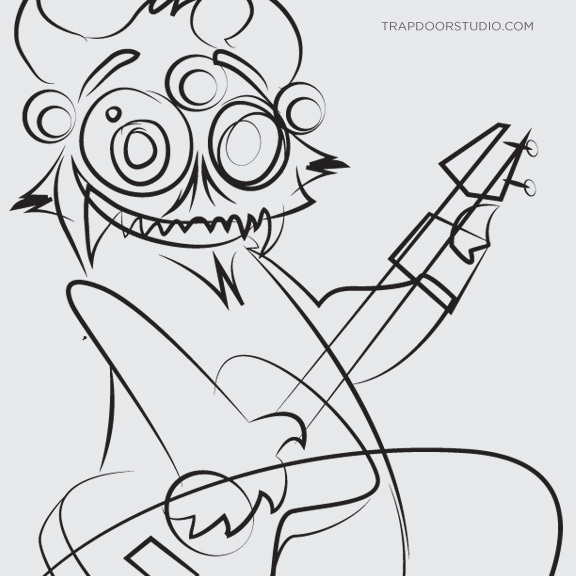 Towering amp and a fire-spitting guitar just felt like the right thing to do. Righteous Ax Master at work. 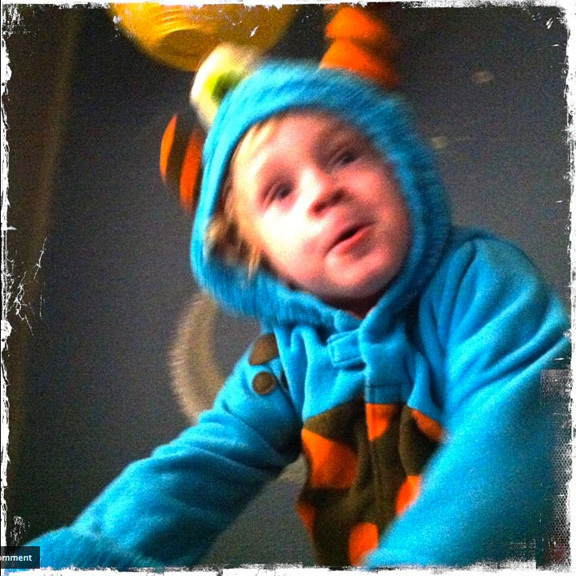 The Rock Monster can’t hold still long enough for me to take a decent picture with his costume on. The Finished Poster. 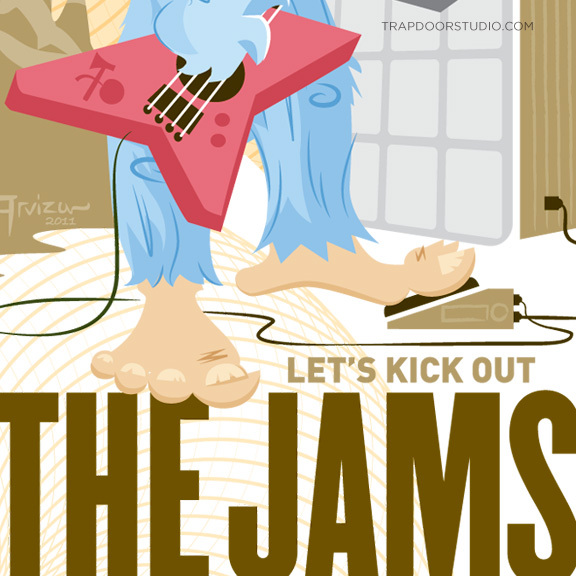 Let’s JAM! So much fun making this for the party. 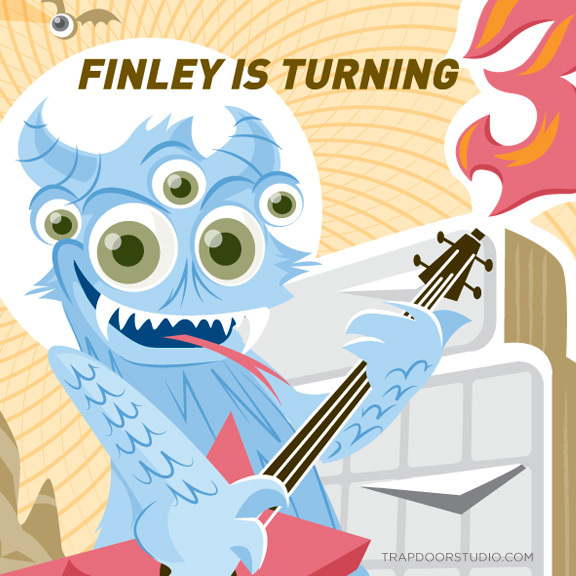 Happy Birthday Finn!